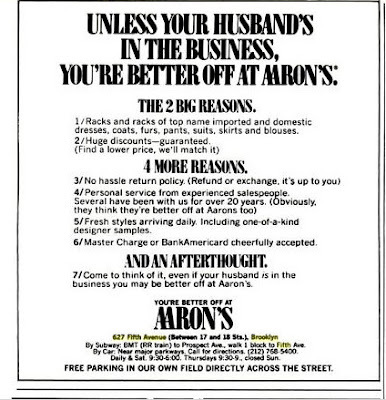 I'm surprised to see that New York Magazine used to run ads for Aaron's clothing store. Here's one from '82. The store and the field are gone, but the sign still has a little time left to greet the ladies.